The technological marvel that facilitated the Apollo missions to the Moon was the on-board computer. In the 1960s most computers filled an entire room, but the spacecraft's computer was required to be compact and low power. Although people today find it difficult to accept that it was possible to control a spacecraft using such a `primitive' computer, it nevertheless had capabilities that are advanced even by today's standards. This is the first book to fully describe the Apollo guidance computer's architecture, instruction format and programs used by the astronauts. As a comprehensive account, it will span the disciplines of computer science, electrical and aerospace engineering. However, it will also be accessible to the `space enthusiast'. 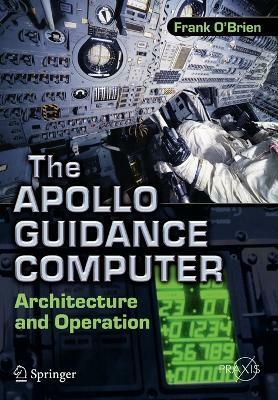 In short, the intention is for this to be the definitive account of the Apollo guidance computer. Frank O'Brien's interest in the Apollo program began as a serious amateur historian. About 12 years ago, he began performing research and writing essays for the Apollo Lunar Surface Journal, and the Apollo Flight Journal. Much of this work centered on his primary interests, the Apollo Guidance Computer (AGC) and the Lunar Module. These Journals are generally considered the canonical online reference on the flights to the Moon. He was then asked to assist the curatorial staff in the creation of the Cradle of Aviation Museum, on Long Island, New York, where he helped prepare the Lunar Module simulator, a LM procedure trainer and an Apollo space suit for display. He regularly lectures on the Apollo computer and related topics to diverse groups, from NASA's computer engineering conferences, the IEEE/ACM, computer festivals and university student groups. Illustrations note 30 Illustrations, black and white; XVIII, 440 p. 30 illus. -History, evolution and packaging. -Machine organization. -Interpretive instructions. -The executive program. -Important background routines.-Display and keyboard (DSKY). -I/O devices and interfaces. -Application programs. -Eraseable memory programs. -Interaction with the ground. -Selected case studies. -Epilogue.